General practical information for students about Student life in Norway, Services, Academic affairs, Student organisations etc. 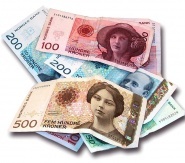 Living expenses in Norway are considered to be higher than in many other countries. You should expect to have NOK 9 080,- per month for subsistence. Requirements for subsistence are determined by regulations concerning the Student Residence Permit. The University Foundation for Student Life in Ås (SiÅs) is responsible for all student accommodation at the Norwegian University of Life Sciences. Various types of housing are available, including single rooms, couple and family flats. All new incoming students apply for accommodation by sending an email. Students mostly cook their own meals. 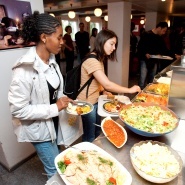 In addition, SiÅs has three cafeterias on campus where students can purchase sandwiches and a limited selection of warm lunches during the week. All meals are sold at a discounted price to students. There are numerous family doctors in Ås who students can contact when necessary. There is a Health Office located in Ås which offers preventive services for young adults ages 13-25. The nearest emergency care facility is located in Ski which is a 10 minute drive away. All major hospitals are located in Oslo which is a 30 minute drive away. NMBU will as far as possible strive to make necessary arrangements for students with disabilities or special needs, whether it is due to visual impairment, hearing impairment, reading and writing difficulties, asthma, allergies, anxiety, chronic illness or other reasons. This includes facilitation both during your study period and/or exams. It is highly recommended that students purchase general travel, luggage and accident insurance for their entire stay in Norway. Health insurance is provided for students studying in Norway more than six months. Students automatically become part of the Norwegian National Insurance Scheme(covers only health insurance) when they are officially registered in the National Registry. Dental care is not covered by the National Insurance Scheme. Assistance with this registration is provided at the beginning of each semester. All Norwegian students receive support through the Norwegian State Educational Loan Fund (Lånekassen). There is currently no financial support for international students at the master and bachelor level. The Student Information Centre (SIT) can assist with most student inquiries or direct students to the appropriate person. SiT staff members are bilingual, speaking both Norwegian and English. NMBU is situated on a large campus which is approximately 600 hectares. There are eight departments at NMBU, each consisting of at least one building dedicated to teaching and research, but some departments have several building for this purpose. In addition, there are 6 centres of research on campus which collaborate closely with the UMB departments. Currently NMBU has 1 bachelor and 13 master programmes taught in English. NMBU has a very international campus with approximately 16% international students representing 94 nationalities. NMBU has a great deal of experience assisting international students assimilating into the Norwegian education system. The SiT offices offer an introduction programme at the beginning of each semester. There are no internships available at NMBU. NMBU has a football and sports field and a large indoor sports facility. The university is located in close proximity to both a ski track and a national rowing facility. The Student Union (Samfunnet) is a large facility offering students a cafeteria, bar and numerous rooms which students can use for student activities, such as concerts and dances. For more information about sports offers see Sias sports or Samfunnet for other activities. 80 different associations and clubs offered at NMBU. 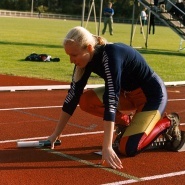 Students are encouraged to pursue their passions and can apply for funding to create their own club or association if they cannot already find it among the current ones available.